This film knocked my socks off, since it was exactly the kind of hard science-fiction that I often read as a young man. In it, we are transported to a future time when space travel is commonplace; in this movie we see a man and his daughter who are hard-scrabble people trying to get by in life, but not wealthy. They are prospectors, and hope to strike it rich on a planet where breathing the air is deadly, so the atmosphere has to be filtered & atmosphere suits must be worn when outside. The planet is spectacularly real. The airborne spores can be seen, and we are shown their deadly effect; most of the action takes place while wearing the suits which filter out those deadly spores. This film impressed me mostly for its realism; the suits were well-worn, the spacecraft were also, and much of their equipment had to be jury-rigged to be useful. 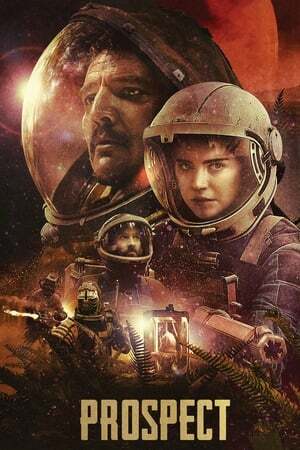 The actors did a great job; Cee (Sopie Thatcher) was a natural, and totally believable, and had good chemistry with Ezra (Pedro Pascal) who really carried the movie; he sometimes reminded me of Nathan Fillian in Firefly. I would've preferred a bit more background on their characters, and a few times I was unimpressed by their emotional reaction to certain events, but those are minor quibbles about an excellent film, which I urge all lovers of hard science-fiction to enjoy, as I certainly did! As there are so very few real sci-fi movies to compare it with, I give this film 5/5; it's excellent!